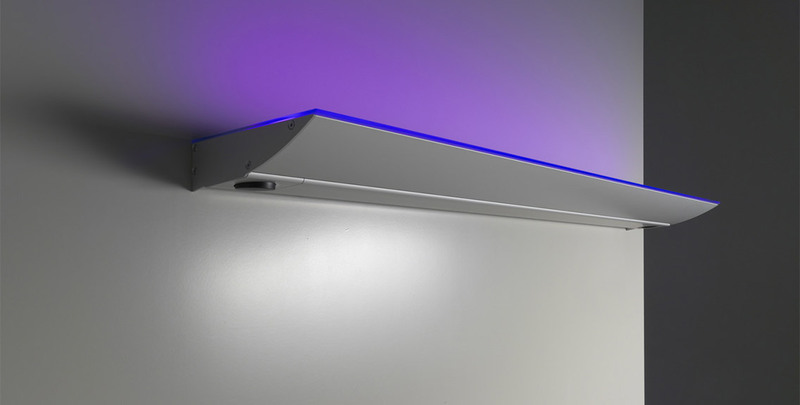 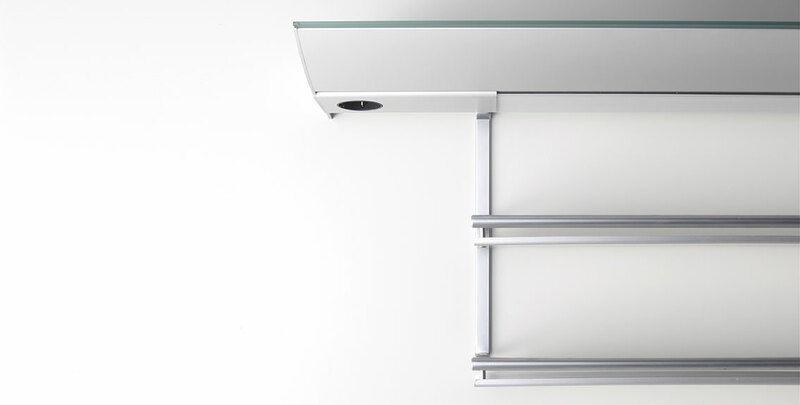 The light system 2 provides room and furniture niches with light and electrical connections. 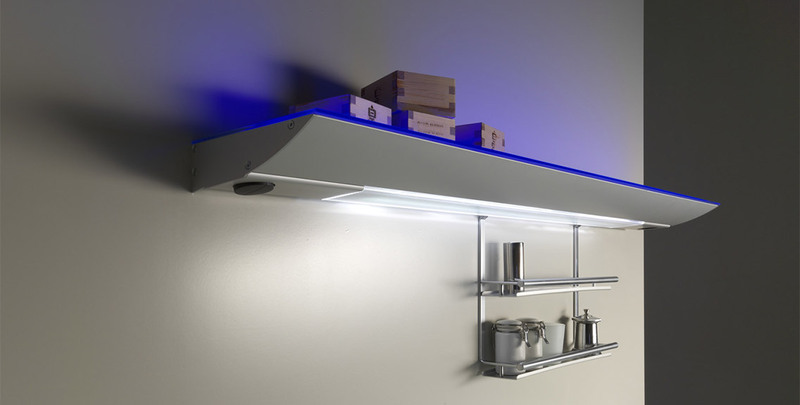 At the same time it is a working storage shelf, which can considerably upgrade the lighting atmosphere in a kitchen. 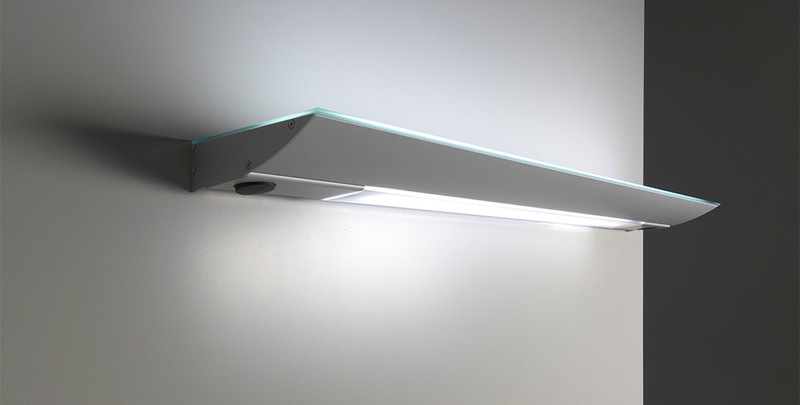 The wall light’s wing-like form gives it a particularly slender and elegant appearance. 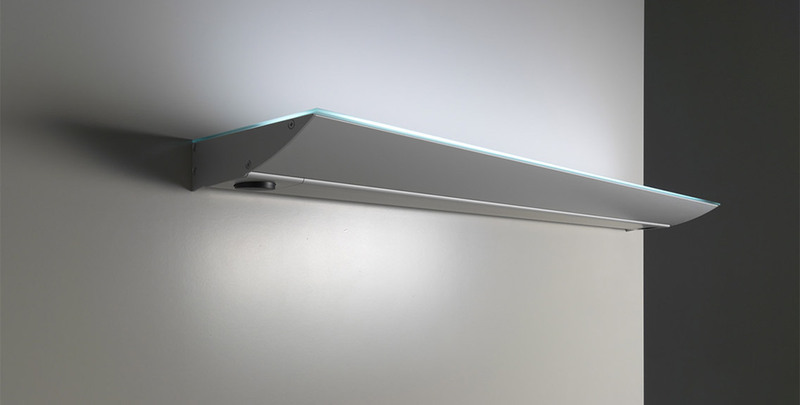 The deeply-set and concealed order of the lamps ensures that there is no unwanted glare effect. 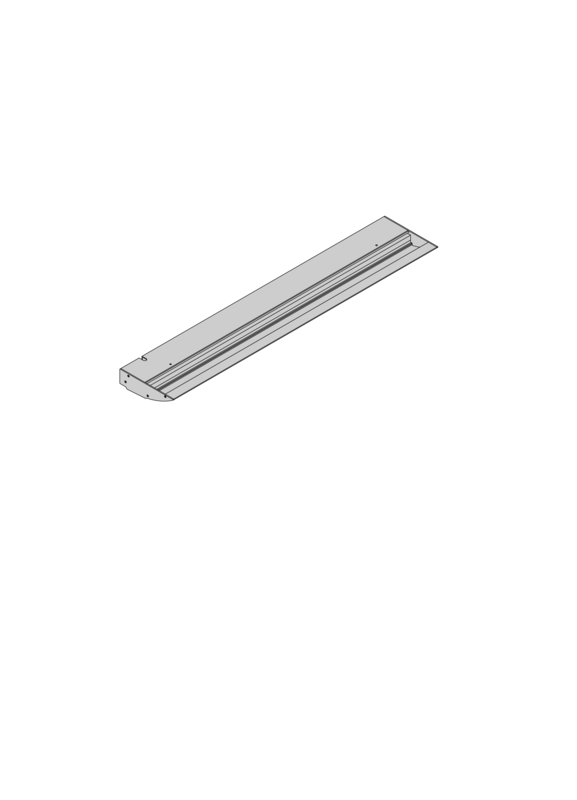 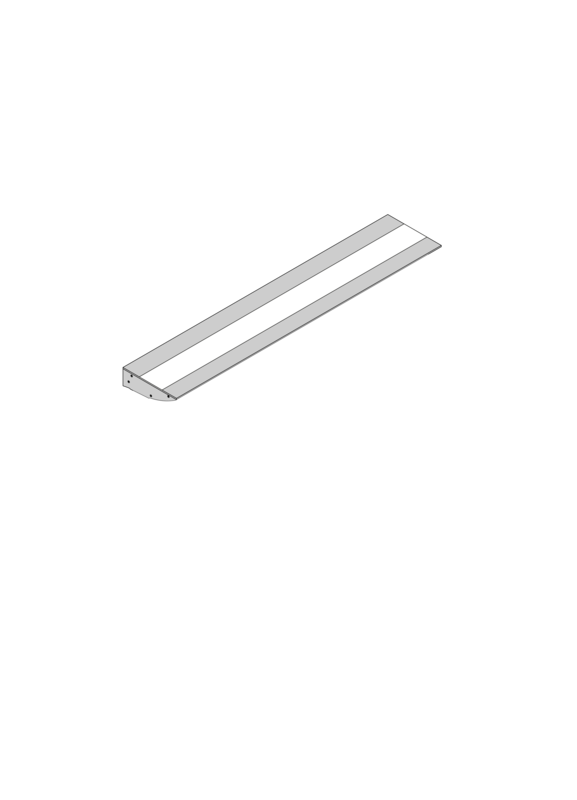 Different system supports can be hinged into a groove situated behind the light emission point. 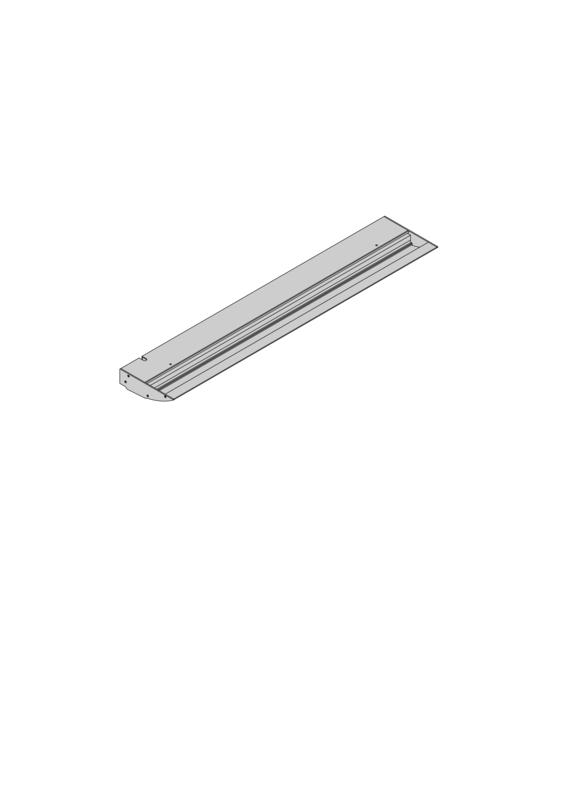 Mirror lenses can be mounted and disassembled in the bathroom easily and without tools, making fourfold drilling and dowelling necessary.